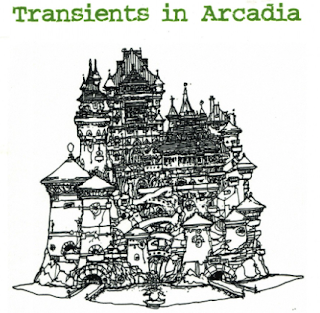 The short story "Transients in Arcadia" by O. Henry gives the readers the description of a desirable place "There is a hotel on Broadway that has escaped discovery by the summer-resort promoters. It is deep and wide and cool. Its rooms are finished in dark oak of a low temperature. Home-made breezes and deep-green shrubbery give it the delights ..."
This idealistic place is hidden from the public, only special, exclusive guests have happy opportunities to stay here. The first paragraph of this review includes the quote from O. Henry work, the author tried to highlight the uniqueness of the place, so did I at the beginning of the second paragraph. "Madame Beaumont was a guest such as the Hotel Lotus loved. She possessed the fine air of the élite, tempered and sweetened by a cordial graciousness that made the hotel employees her slaves. Bell-boys fought for the honor of answering her ring; the clerks, but for the question of ownership, would have deeded to her the hotel and its contents; the other guests regarded her as the final touch of feminine exclusiveness and beauty that rendered the entourage perfect." That very respectable guest met another upper-class visitor of the hotel who registered as a Harold Farrington. After Harold Farmington picked up a dropped handkerchief and returned it to madam Beaumont, they started to enjoy being together. They would talk about traveling comparing some luxurious world's resorts. In the last evening, before Mme Beaumont left the hotel, she said Mr. Farmington that her time of staying in the hotel up and she needs to come back to her work, that her real name is Mamie Siviter and she works in the store here in New York. "At the door of the elevator Farrington took his leave, and Madame Beaumont made her last ascent. But before they reached the noiseless cage he said: "Just forget that 'Harold Farrington,' will you?—McManus is the name—James McManus. Some call me Jimmy."